I got a pretty major tattoo on Friday afternoon. Not my first, but my first super huge one, custom designed by Mimi at Sea Wolf in South Minneapolis. I didn’t have any tattoos until March of this year, and now I have 4. Once you get one, the fear of permanently altering your skin sort of goes away and you’re like “screw it.” Well, that’s me at least. And probably a lot of people. Anyway, here’s the newest one. 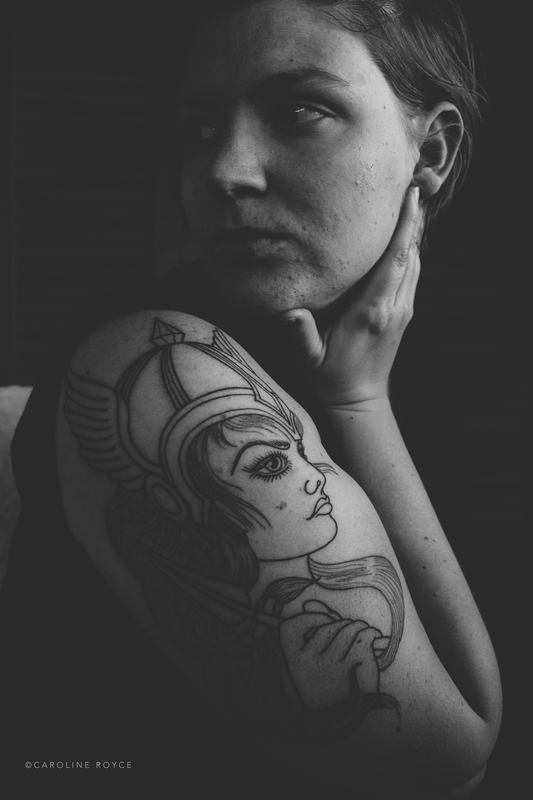 The Valkyries are the handmaidens of Odin. They are the “chooser of the slain.” They pick who dies in battle and goes to Valhalla. I am deeply into Viking history and Norse mythology (likely explains my Skyrim obsession). I named her Brunhilde. Interestingly, I’m not a fan of the Minnesota Vikings. 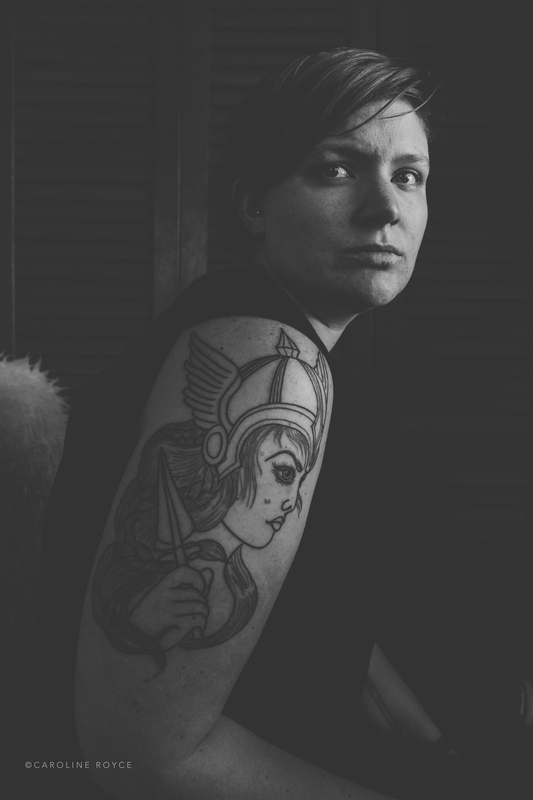 I wanted some nice photos of my fresh new tat so yesterday morning I took a few – very serious – portraits. 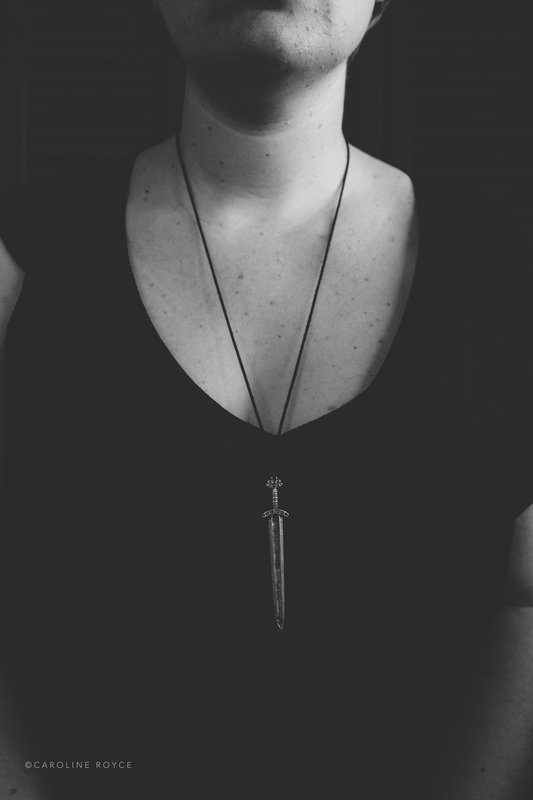 Brunhilde goes nicely with my little Viking sword necklace as well.